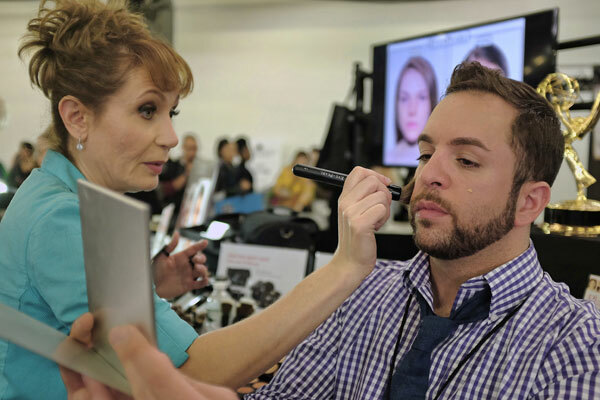 The International Make-Up Artist Trade Show brings together superior talent in the world of cosmetics, artistry and special effects. The global trail includes six massive shows in four countries including New York, Sydney, London, Vancouver, Toronto and Los Angeles. Personally I’ve had the privilege of educating in New York, LA and London. 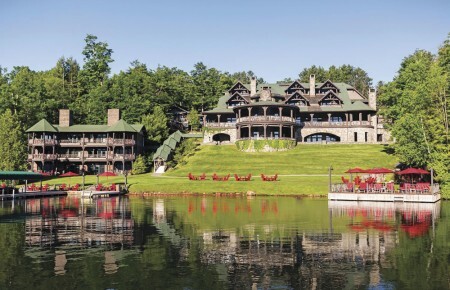 Unless you are an industry affiliate you may not be familiar with the epic gathering of award winning artists whose work has been seen on every silver screen or world class movie star you can think of. At every corner you are blinded by the glare of camera flashes and the glimmer of Oscars and Emmys. If you haven’t figured it out by now I am excited to bring this show to you in word and picture form at least. I may even inspire you to attend however it is difficult to infiltrate as each show is normally sold out in a short period of time due to its reputation. By no means does the IMATS exude pretentious or lofty attitudes so let’s be clear about that. The creator and director of the show Michael Key is an incredibly modest and generous individual who has a love for all things make-up as publisher of Make-Up Artist Magazine. 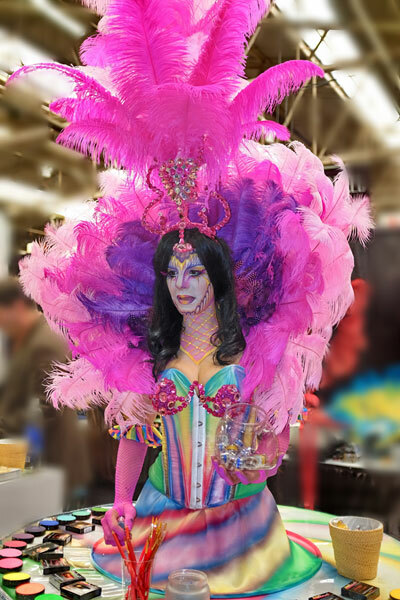 The talented artists, exhibitors, educators and vendors who attend follow suit when it comes to pride and love for what they do in the industry they call home and consider the IMATS a knowledge sharing forum. If you are fortunate to attend you will see plenty. Makeup artists from novice to master level come to learn and be inspired by skilled peers. 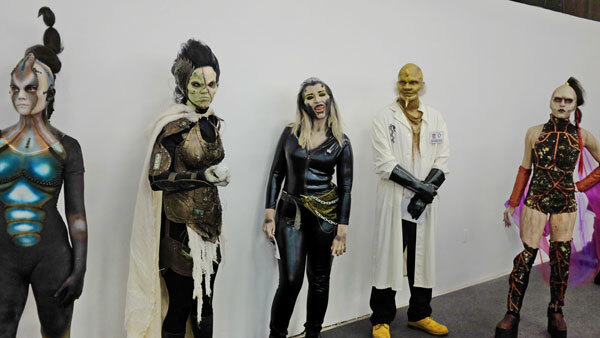 Prosthetics injuries, zombies, werewolf masks, giants, fairies, evil clowns, animatronic face masks, body murals, and fantasy makeup competitions are a huge portion of the exhibition. That doesn’t mean if you’re not into making your own body parts or picking up a pail of Hollywood grade blood that there isn’t something for everyone. As a makeup artist who mostly works with the everyday clientele I did some major damage with brands such as Kryolan, Crown, Alcone, NYX, Eve Pearl and more. If you are a product extremist this is also the place you want to be. As an expert in the industry I will self admittedly say innovation is a luxury and often attempted but not always successful. However at the IMATS you are guaranteed to witness newness and also things you never knew existed. Often times a product is reinvented and that I feel also constitutes a mention. There is also a good chance you will get to meet the actual creators of the brands who are full of integrity which is witnessed in their product lines who are proud to show you what they’ve developed first hand. Whether you are into the IMATS or not, here are some items I feel everyone could benefit from. I would like to thank Make-Up Artist Magazine and Michael Key for the opportunity to attend as press and share my experience with my readers. I hope to follow the show to locations I have not yet been a part of. 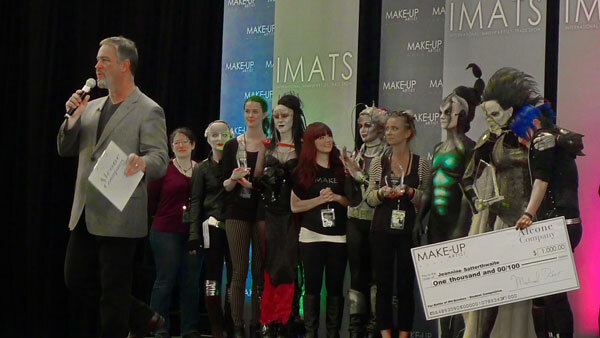 For more information on the IMATS you can go to www.imats.net and the next show will be in June in London, UK.